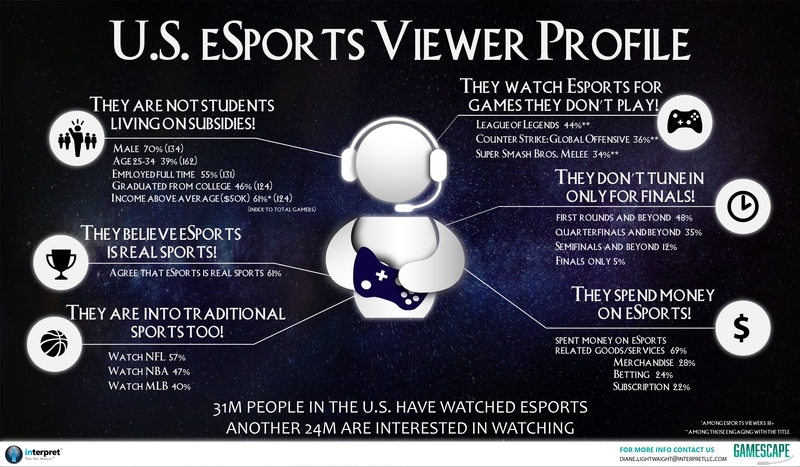 LOS ANGELES–(BUSINESS WIRE)–#Gamebyte–eSports viewers might not be who you think they are. China, according to GameScape, a new report from Interpret, LLC. value and excitement,” said Cai. ability to engage viewers in the early rounds of major tournaments. the early stages of a tournament.